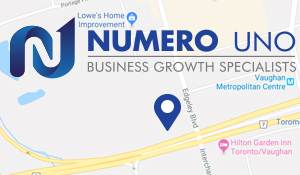 Numero Uno Web Solutions (www.NumeroUnoWeb.com), a fast-growing Internet marketing firm that caters to medium- and large-sized business-to-business (B2B) and business-to-consumer (B2C) companies, is reacting to a recent study showing online e-commerce continues to grow at a strong rate. Numero Uno Web Solutions is also weighing in on what brands need to do to attract and stay connected with new customers. The study also found that business transactions conducted over mobile devices increased by 59%. Mobile transactions in the first quarter accounted for 18% of all orders and accounted for 35% of all web traffic. Libarian explains that while merchants continue to engage more and more online shoppers, consumers are becoming more discerning. The study found that the time shoppers spent on their mobile devices dropped 43% to 8.4 minutes on a year-over-year basis. At the same time, the amount of time consumers spend on the merchant’s site also fell 31% to 8.9 minutes.